The Civilization series of strategy games is perhaps the best-known in the world, and rightly famous (or infamous) for getting people hooked for hours, playing one more turn in order to vanquish that powerful neighbour or discover the secret of gunpowder, for instance. So it makes sense that people were eagerly awaiting Civilization VI last year, the latest instalment of Sid Meier’s world-conquering series, with baited breath. And this was a game that did not disappoint, offering more of that addictive turn-based gameplay that the series is renowned for. And developer Firaxis is going to continue supporting the game this year, as it not only recently announced that a new update is in the works and that Australia will be coming to Civilization for the first time, but also that two new extra civs will be added to the game soon. One of these is Persia, which is run by Cyrus, a man who like others before him created “the greatest empire the world had ever seen”. And this is a civilization players will have to be wary of in the game, as Persia’s military units get bonus movements points when sneaky old Cyrus declares a surprise war, while those who play as Persia also get less of a diplomatic penalty for attacking other civs by surprise. Persia can also deploy the Immortals (its special military unit) which has a long range attack, but can also hold its own in close quarters combat. 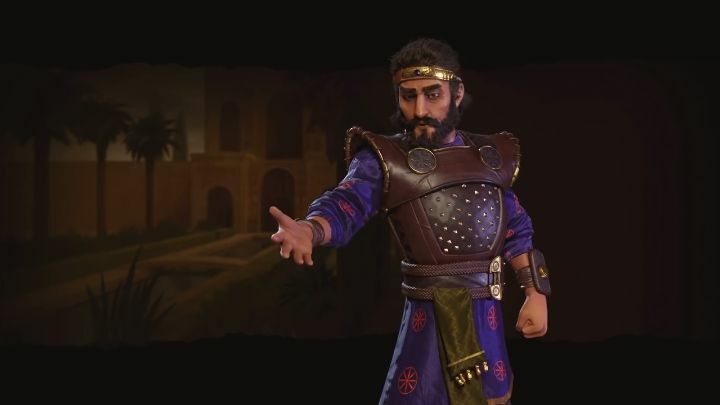 The Persian civ is not just about warfare, though, as it also gets bonuses to its internal trade routes in the game, meaning that while it can be a favourite of warmongering players, winning by force is not your only option when playing as the Persians in Civilization VI. So the fact that another civ is coming to the game will be reason for Civilization VI players to rejoice, as this will undoubtedly add more gameplay options to what already is one of the best strategy games we have seen in recent times.